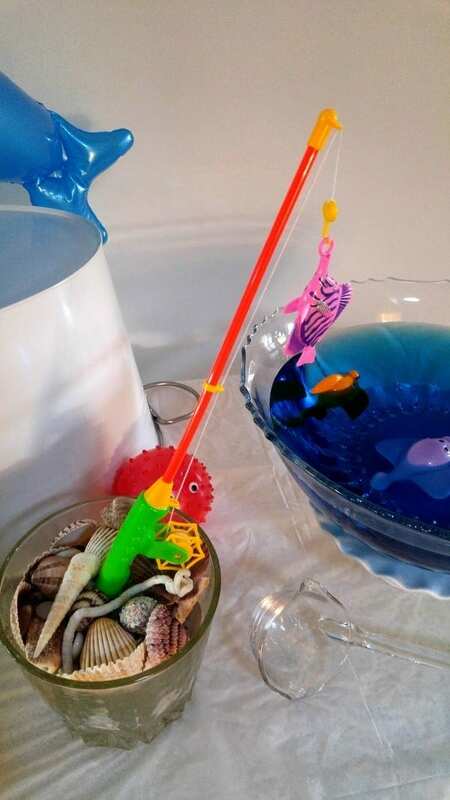 It’s time to go fishin’! 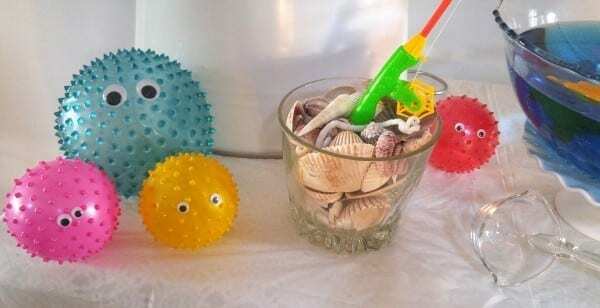 This is a fun and EASY way to decorate the punch bowl area for a Sea party. 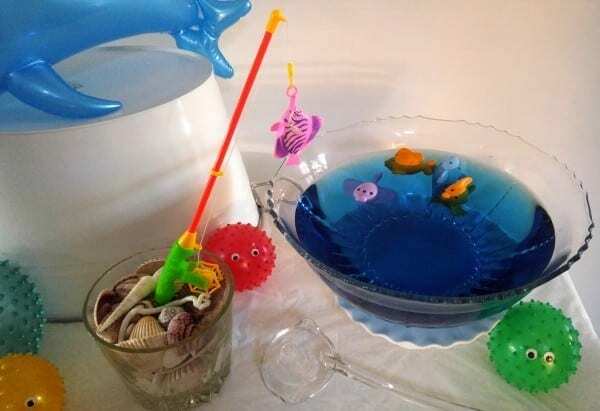 All the guests just love this creative way to have their punch served! 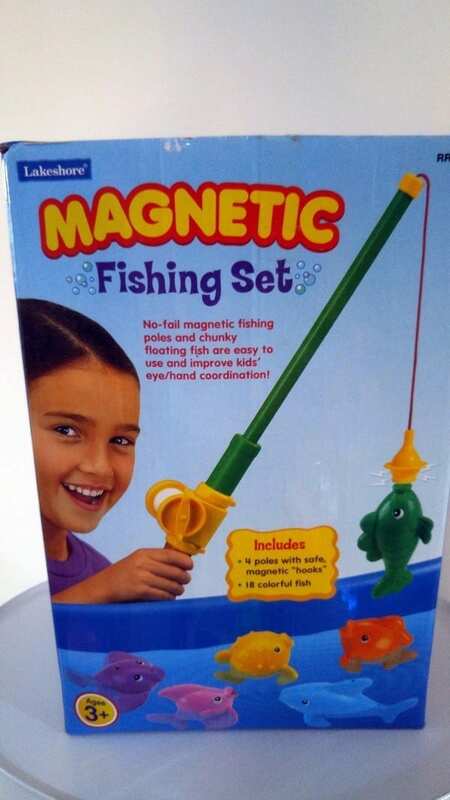 I tried a few different types of toy fish, but the ones I ended up using were from this little magnetic fishing set. 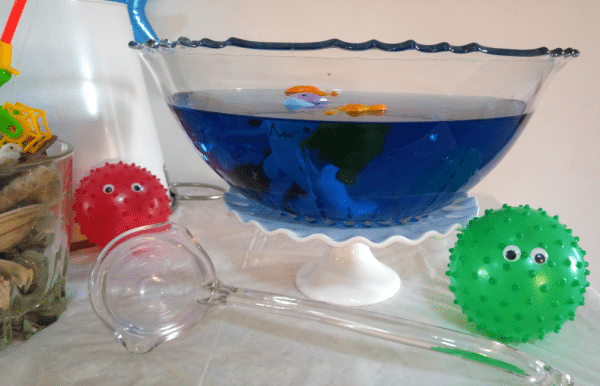 These little fishies floated perfectly in the water, unlike the first ones that kept floating upside down…and we all know what that means for a fish!!! 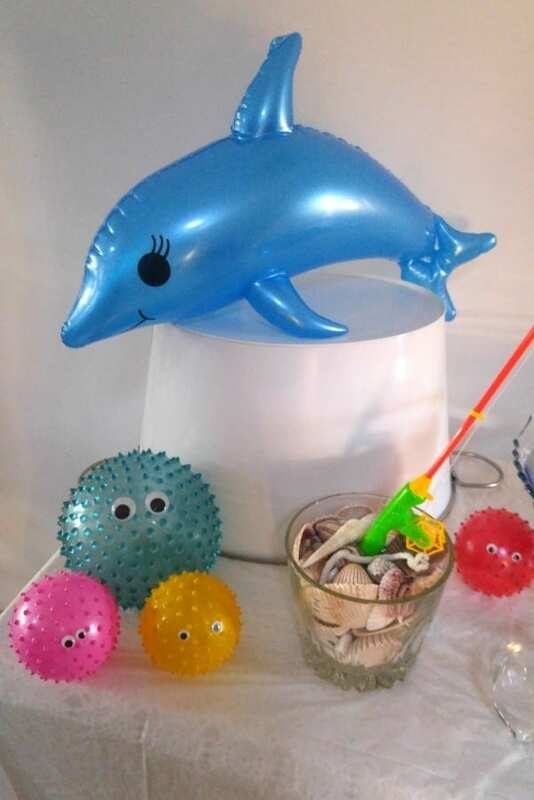 …and of course the blow up dolphin found at the good ol’ dollar store! 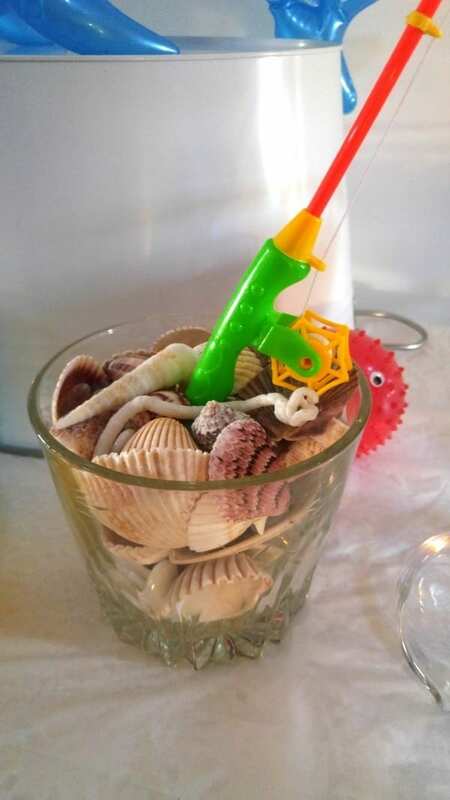 Last but not least we can’t forget the ladle for scooping up the sea water punch with! 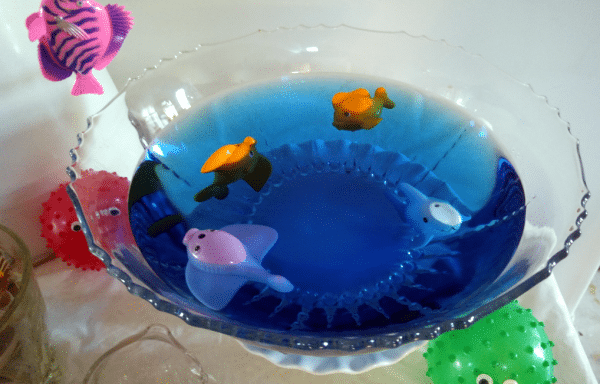 This punch bowl is ready for some party fishin’!